Put your clients at ease and answer their questions in a matter of minutes with a wealth of information regarding their specific notice. Resolve your client’s notice by following step-by-step instructions for each notice type. 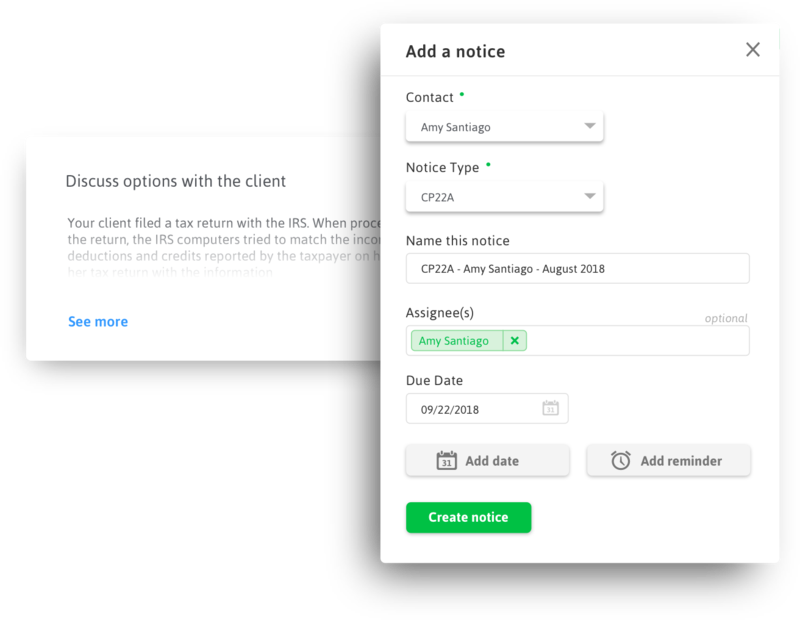 Each notice resolution template was developed by seasoned tax professionals and former IRS employees. Leverage step-by-step instructions and best practices to resolve each notice quickly and with confidence. Build your case in record time and respond to the IRS with the right details for every scenario. Get access to every applicable IRS and state form, so you’re always working with the latest version. Keep everyone on the same page, up to date, and on task so a notice never slips through the cracks. 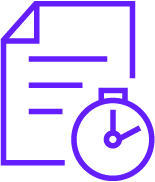 Quickly gain visibility into the status of every notice to meet critical deadlines and delegate work effectively. 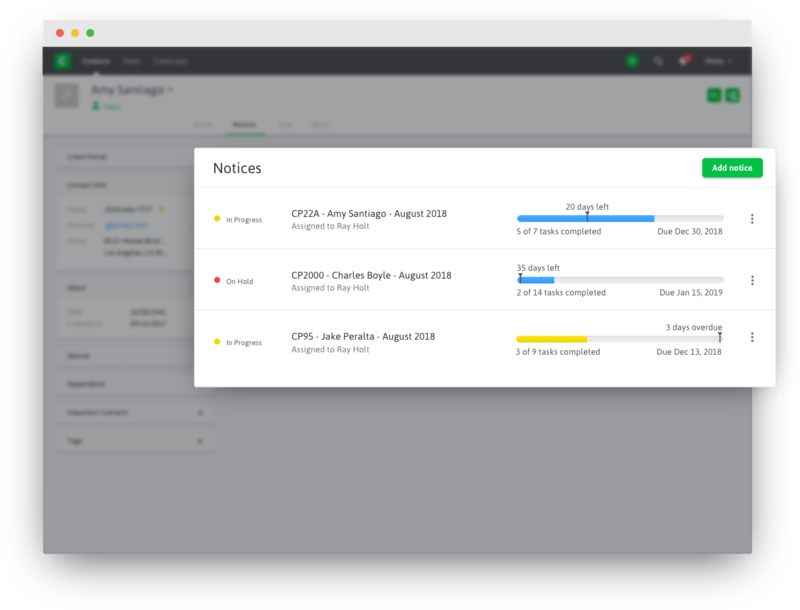 Assign tasks, update statuses, view progress, and notify teammates for seamless tracking from start to finish. 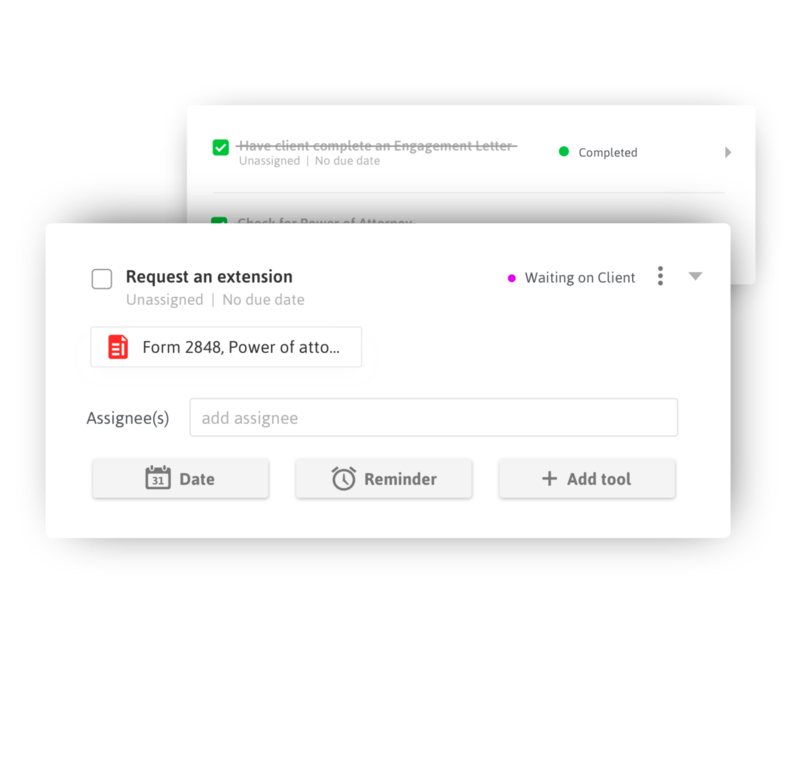 Instantly get notified when it’s time to work on tasks and as state and IRS deadlines approach. When used with our entire suite of products, Canopy can streamline the process for you from the moment you recieve a notice to it's final resolution, even if the notice expands into a tax resolution case. How often do you release new notices to your library? Canopy releases monthly updates to its database of notices and will support both IRS and state letters. What tools do I get to resolve a notice? Each notice comes with a best practice resolution plan, relevant forms, and letter templates to correspond with your client and the IRS. How does Notices work with my other Canopy products? 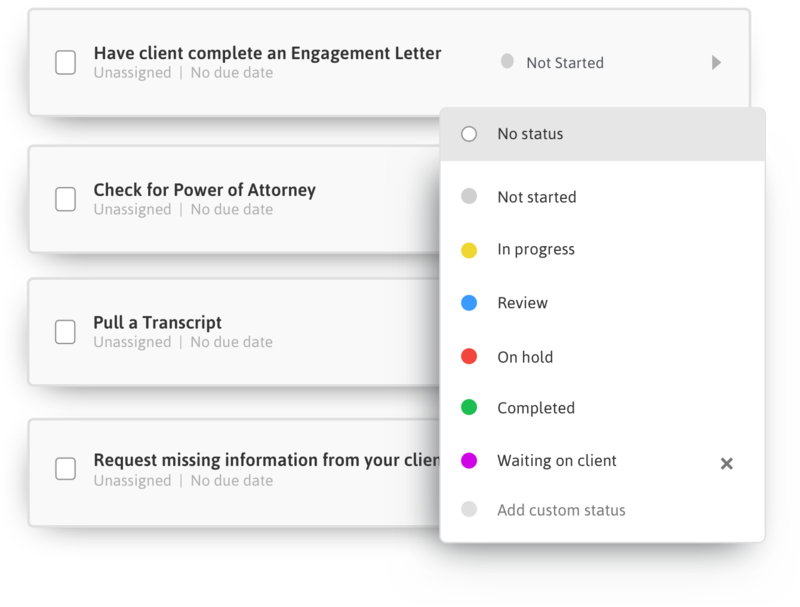 Notices seamlessly connects with the rest of the Canopy suite, so you can access all of your tasks, files, and engagements in one place.